I had the means, the time and the gumption. 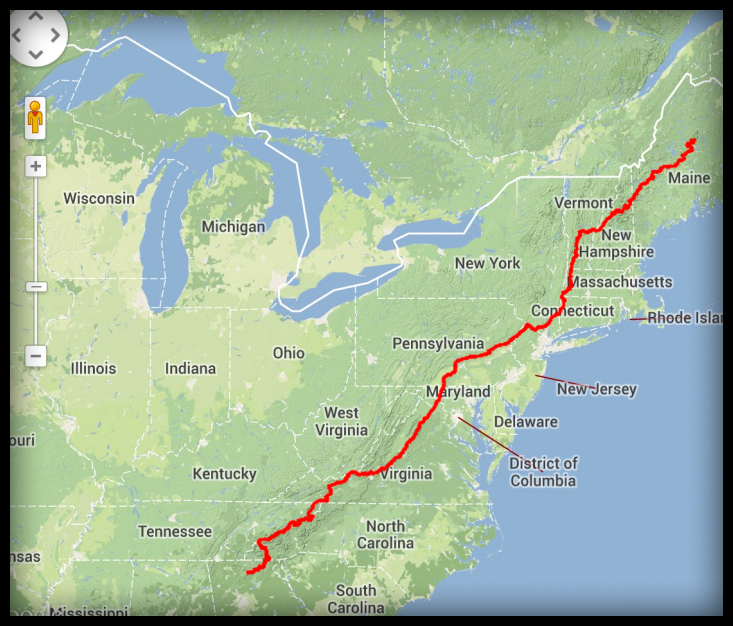 I was going to hike the Appalachian Trail (the AT), 2,200 mile from Maine to Georgia. My plan was to start at the summit of Kathadin in early July and roll on down south to Georgia for Thanksgiving. But you know what they say about the best laid plans of mice and bobcats … I made it through Maine, New Hampshire and half of Vermont. 500 miles. Then landed in the hospital. Below are the stories of this journey and its unexpected left turn. As I update this page in the fall, I now know this sickness that landed me in the hospital was a gift. This is still 2016. The year when I asked the Universe to “surprise me”. It might even surprise you … but hold on a little bit. The next chapter is being written, and I don’t have a full grasp yet of its extent. For now, I’ll tell you that it comes with delicious green eyes (or grey, or orange, depending on the weather) and an air of certainty, of game-change, of uncharted territory. AT – Off trail day 5 – Moving to Vermont? AT – Off trail day 3 – The mystery thickens. AT day 39 or 40. Lessons from the green tunnel. AT day 35. The Whites. Attitude adjustment. AT day 13. Maine. Pain. Rain. AT day 1 – katahdin, eat dessert first. D-01 – Pre-partum. I got to run through the gauntlet of fears and doubt before I am allowed on. Behold Pack the Second! – The pack for the AT is done. Here’s about the month-long process to create it. AT Resupply Plan – A spreadsheet of towns, mileage and days til the next shower. The pack – It begins – I’ve got the fabric. I’ve got the pattern. Now to the sewing machine. Appalachian Trail Gear Check – Running a mental check through my gear of what I’ll actually need. Three months until the Appalachian Trail – Day-dreaming about the AT from my truck’s tailgate in the Sedona desert. I once was AT Hikertrash!